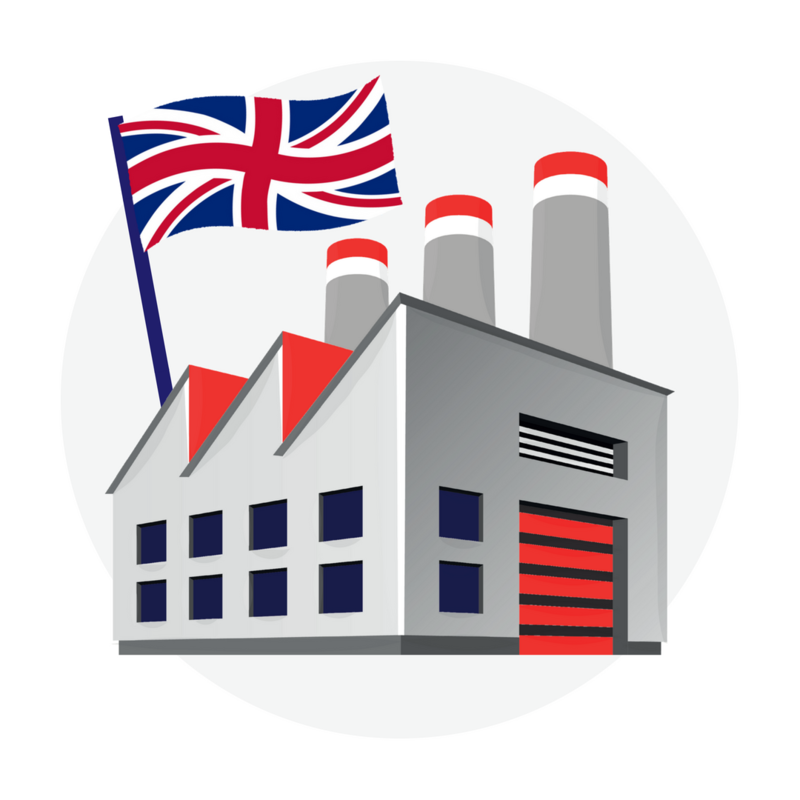 In a recent global survey carried out by Statista, the UK was the 3rd highest ranked individual country for it’s ‘made in UK’ label. Only Germany and Switzerland came higher, whilst the ‘EU’ as a conglomeration of countries came in third. The ‘Made in Country’ index ranks countries according to how positively a ‘made in…’ label is perceived respectively. Over 43,000 people were interviewed across 53 different countries. They were asked to consider values such as quality, security standards, value for money, uniqueness, design, advanced technology, authenticity and sustainability. The UK beat the likes of Italy (7th) and France (9th) and maybe not surprisingly China came in at the bottom at 49th. 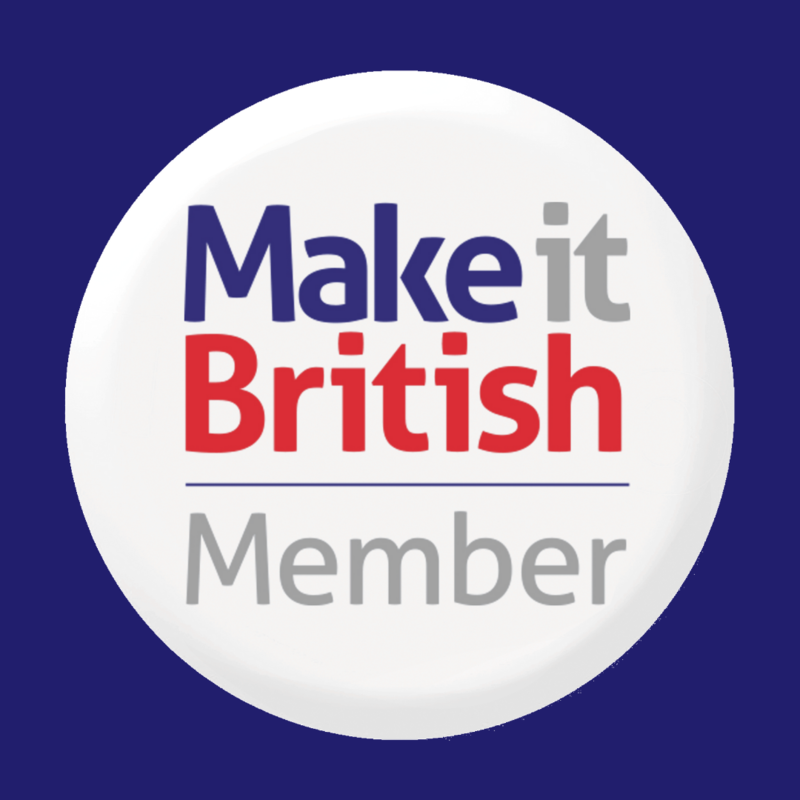 This survey reiterates what Make it British has thought all along – that a Made in UK label is revered all over the world for its quality and provenance. What does ‘made in the UK’ do best? The survey went on to ask UK shoppers which products they thought their country made best. Food came out top, with nearly half of the votes, whilst only 1 in 8 Brits rated their own consumer electronics as any good. Despite the fact that shoes made in Britain are sought after all over the world, they received only 17% of their own country’s vote. Could this be due to the fact that consumer awareness of what actually is made in the UK is not as good as it could be? 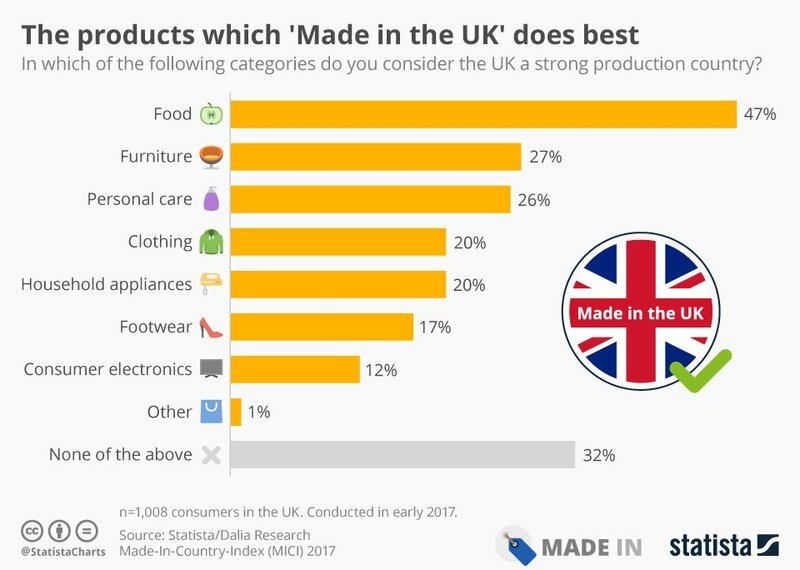 Which products do YOU think ‘Made in UK’ does well? We’d love to hear your thoughts in the comments below. The list of things that Britain makes well is very, very long. Particularly shoes (Barkers is best), furniture and beds (Vispring please), lighting (BTC will do nicely), home decor (Morris & Co. the current favourite), ceramics (Burleigh or RCD, can’t decide), hifi equipment (Rega in my sights). There are several categories that we simply don’t compete in any more – such as domestic appliances, and clothing up to a point. IMO, Burberry has done huge damage to that sector by not supporting British manufacturing.